An unfamiliar Nokia device has appeared in the database of gamer site Occasional Gamer. The model is called "Nokia RM-860", and while we know nothing of such a model, it could easily be a new Lumia device for the United States. Why are we so sure? Well, the full title of the entry is actually "NOKIA RM-860_nam_usa_100, where "nam" obviously means "North America" and "usa" means... Yeah. The good news is that a device with the same "RM-860" model has also been spotted in Nokia's NaviFirm database, kind of confirming its existence. Honestly speaking, this might be many things. It could be the rumored Nokia Catwalk (a PureView Phase II device like the Lumia 920), the Nokia EOS (a WP handset with a larger sensor like the 808), or a completely new device. (Not that the Catwalk or EOS are "old" devices.) Overall, most speculating sources reason that this might end up being a Verizon handset, but it may also be destined for AT&T, as that is where the EOS is expected to appear. Whatever this RM-860 is, we'll probably know for sure at Nokia's event scheduled for February 25th. I hope this is the sprint device for later this year. 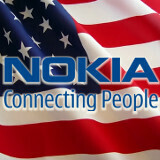 Common Nokia, Just Bring us some Android with your Pure View Camera. Just updated my NaviFirm+ list, and sure enough it is now there... confirmed! It's going to AT&T... it has to. If it was a CDMA device, then why would they bother with the NAM-USA extension, as there would not be an international version of such a device? On the other hand, if this was a device with universal penta-band UMTS/HSPA, then they wouldn't bother designating NAM, either, because one model would service everywhere. This says only one thing to me... quad-band GSM with North American dual- or tri-band HSPA+ (850, 1900, maybe also 1700 or 2100 MHz) and possibly AT&T's dual-band LTE (700, 1700 MHz). Now, the only question that remains is: Lumia (Windows Phone) or Asha (Series 40 Java)? I am tempted to say it will be an Asha series phone simply because Lumia's, while having RM numbers in the 800's, only have one in the 860's (RM-867 for the Lumia 920T, the Chinese TD-SCDMA version of the Lumia 920), while one Asha phone already has been assigned three models in the 860's: RM-862, RM-863, and RM-864 (Asha 205), none of which is currently a North American model with 3G support... RM-862 is the dual-SIM Eurasian dual-band GSM variant, RM-863 is a dual-band GSM single-SIM Eurasian variant AND a rare dual-band GSM single-SIM NAM, and RM-864 is the Chinese dual-band GSM variant known as the Nokia Asha 2050. I predict a 3G-enabled single-SIM US variant of the Asha 205 for AT&T and/or T-Mobile, with dual-band US GSM (850, 1900 MHz) and tri-band US HSPA (850, 1700, 1900 MHz), no LTE, and retaining the portrait full-QWERTY design without a touchscreen. If they sell it for less than $50 without contract, it could easily replace the Nokia X2-01 for T-Mobile, the Nokia C3-00 for AT&T, and make a killing in the prepaid marketplace. If lacking overseas GSM, as the Asha 205 NAM already does, it could also represent a new trend of weaning Americans off of GSM support, starting with the overseas bands first, while retaining 3G support... the first phase of getting GSM radios out of US phones alltogether, and an eventual cost-saving measure when GSM networks begin to reach end-of-life across the US in the next year or two. Or... if they are already thinking progressively enough, why not US-3G + overseas-GSM? Keep GSM in the places that will use it for longer, and lose the GSM in the place that will soon have enough HSPA built out to cover much of their old GSM footprint... either that, or you could get a US-CDMA + overseas-GSM variant for Verizon/Sprint... or make both models for the US (hence the "100" moniker at the end, versus a "200" that we haven't seen listed yet... I know, it's a big assumption)? It embraces and accelerates the process that is already in place in the US, and makes a [slightly snobby] international statement that US phone models no longer need to be defined by GSM compatibility. Why not? February 25th, Will Nokia announce the first Android smartphone and beat Sammy and Sony to become the best-selling smartphone of the year? Well the Lumia 800 is RM-801, Lumia 900 is the RM-808, 920 is the RM-820 (and 821), so this is quite a jump internal-number wise. Each prototype that gets to pre-production stages gets an RM-### hence the gaps, but that is a BIG gap.